It’s not easy nor is it extremely hard. But can’t blame you for having few doubts when you set out for a walk over a frozen lake at an altitude of 4,400 metres (14,450 ft) where temperature is known for taking a nose dive to -30 degrees at night! Novice or veteran, Chadar is different and irrespective of experience everyone will have some queries and we have an expert to clear it for you. Laviral is a person who knows Chadar Trek like the back of his hand and its arrogant climate more than his pet. Take his advice and etch it on your heart before the trek, you won’t regret it. Trodly AMA-Ask Me Anything is team’s initiative to bring out more clarity to people interested in exploring. This was our 3rd AMA session and people responded with enthusiasm. We were happy that people asked a lot questions. Here is a list of all the questions asked and their replies by our expert. A: Nutritious veg meals are served during the trek to give your ample energy that’s required for the trek. ​Regular breakfast, lunch, evening tea and dinner will be served during the trek. 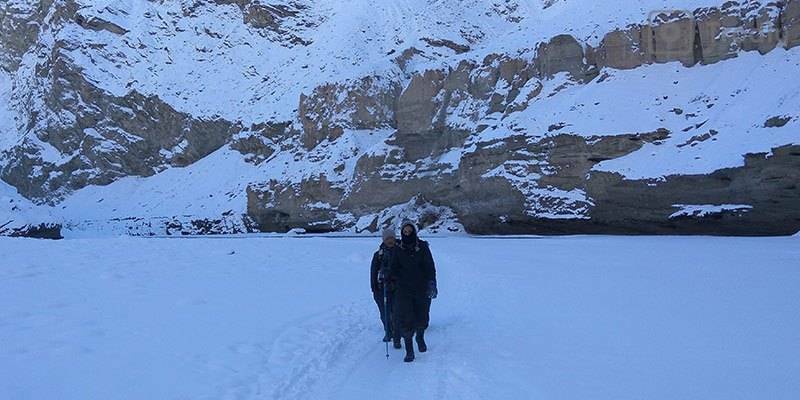 Though the entire trek may be done wearing your gumboots but it’s advisable to carry your trekking shoes as you may be required to climb if in case you find the broken ice sheet patches or chadar formation is not right for the trek. 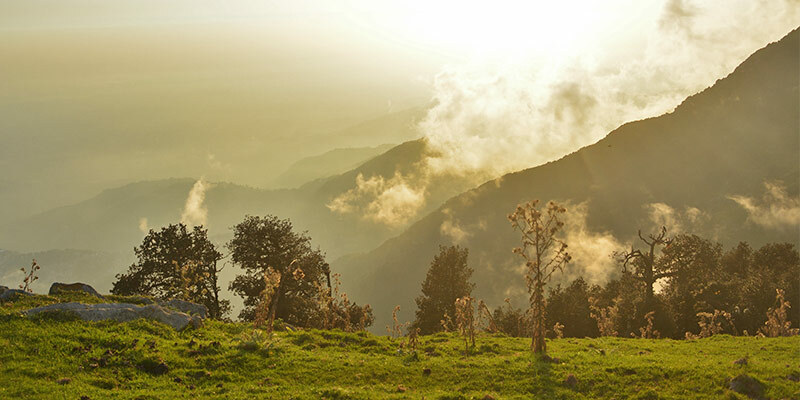 The guide will advise you beforehand during the trek based on the climatic conditions on the days of trek. You are advised to get your winter wear from your respective city because you might not get enough options in Leh. Q: Anonymous – What are the chances of getting frostbite? If that can happen in such low temperatures, how can we prevent it? A: There are 4-5% chances to get frostbite. The best thing to do is covering yourself properly so that you can be on the preventive side. Follow the instruction of your guide to the letter. In case unusually cold on feet, let your guide know about it. If required you will be taken to the hospital in Leh. Carry extra pairs of socks and change it immediately when get wet. Q: Rajit Velhal – Which is the most reliable mobile operator in this region? A: Only BSNL/Airtel postpaid will work in Leh city. Other mobile operators have limited connectivity. However no mobile connection will work during your trek so inform your friends and family accordingly depending upon your schedule of the trek. Q: Sukrut Bhave – Can I get subzero temperature hand gloves, socks, UV sunglasses from leh? A: Yes, you will get subzero temperature hand gloves, socks, UV sunglasses in Leh. But it’s better to get all your winter gears in advance from your city and avoid the situation where you have to buy from the limited options at Leh in the last moment. Q: Aditya – How many layers of clothing will I need to wear during day time and at night? A: In most case people wear 4 layers of clothing including thermal, cotton tees, woolen sweater/fleece jacket, feather/goose down jacket is good enough during day time. There is no definite number to layering and varies from your cold bearing capacity, you may add or remove the layers. Q: Anonymous – Does the price mentioned involve national park fees as well? Q: Aditya – What will be the total distance we will cover on foot? A: You will be covering around 80 km as total trekking distance. Q: Aditya – What kind of shoes is preferable? Can I have woodland boots? A: Gumboots and ankle length waterproof trekking shoes with good grip and thick sole are most suitable for the trek. You may go for Woodland but make sure that you use them before the trek a little. New shoe can give blisters and on trek even a small blister can be very uncomfortable. Q: Kunal – I am planning for the trek this coming season, just want to confirm about the safety measures taken? A: You will be accompanied with a good size of local support team from Zanskar during the trek along with your professional guide. First aid and oxygen cylinders will be with you throughout the trek. Your guide is trained for practicing first aid during an emergency. In case the situation is beyond control you will be rescued immediately. Q: Anonymous – Is this trek doable for a first timer? A: Depending upon your fitness level and strength, you can decide on whether Chadar trek should be your first trek or not. If you are comfortable with walking for 4-5 hours then mostly you can do it but it’s advisable to go for a shorter trek before opting for Chadar trek, just so you can experience the hiking and camping beforehand. Q: Mayank – How fit should I be to complete the trek successfully? Like running 5K in 30min is a good fitness level or should I be even fitter? A: It’s good to prep by running 5 Km on a daily basis at least 30-40 days before the trek. Q: Aditya – Are there any medicines which we should be carrying? 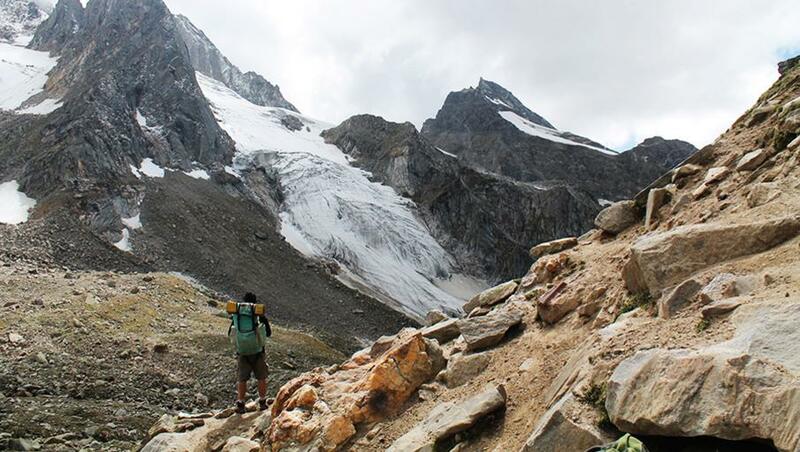 Q: Aditya – How much is the prefered max weight of the rucksack during the trek? I have a wildcraft 65L which can accommodate around 13-15 KGs of clothing, is it good enough? A: 65L capacity backpack is apt for the trek. But make sure the total combined weight of your backpack is not more than 9-10 kg. Q: Kunal – Thanks for answers my previous question Laviral. Also Trodly team mentioned about equal ratio of participants and helper staff, what does that mean really? A: That means that you will be accompanied by the common ground team almost equivalent to number of participants for every batch. Q: Shardul – What is this environmental fee and association fee? How much is it going to be? Will we get receipt for it when we pay in Leh? A: Yes, you will be provided with the receipt. This year (Chadar Trek 2017) it was Rs. 2000 as Environmental Fee, Rs. 300 as Wildlife Fee and Rs. 150 as ALTOA/LAHDC, that is a total of Rs. 2450 that was charged to the trekkers by the respective authorities. Q: Rahul: Is a hot bag efficient enough to keep oneself warm during the night? A: Yes, carrying a hot bag is great idea and is good to keep you warm. I would suggest everyone to carry one for themselves. Q: Rahul – Would a 40L backpack be sufficient for the trek? A: I would recommend a 65L backpack, 40L would not suffice. Q: Shivam – How effective would a 13000mAh power bank be during the trek? A: Depends on your usage of the devices but point to note is that power banks/batteries are only 50% efficient (back up time) in -10 or below degree. Q: Navz – I would like to know the dates? Q: Aditya – Is it advisable to take diamox before we reach leh? 5 days prior to arrival. A: Please do not to take any preventive medication in advance of the trek until prescribed by a doctor. You may start diamox dosage (if required) upon arrival in Leh. Q: Anonymous – Is it ok to have some alcohol to keep ourselves warm at night? A: Not ok at all. Because it will decrease the oxygen level in your body which mean higher probability of getting mountain sickness and increased chances of getting cramps. Q: Patrick – Are the prices for foreigners same as mentioned on Trodly or will there be any extra charges ? A: The prices are same except the Environmental/Wildlife fee i.e. Rs. 300-500 extra in case of foreigners. But Trodly is offering same prices for to domestic and international customers. That was the end of the Trodly AMA 3rd Session, an hour long session and we hope that participant got some value out the session. Thanks to our guest Laviral, this man has some typing capacity. Follow us Trodly to be always updated with upcoming offers, sessions and more.